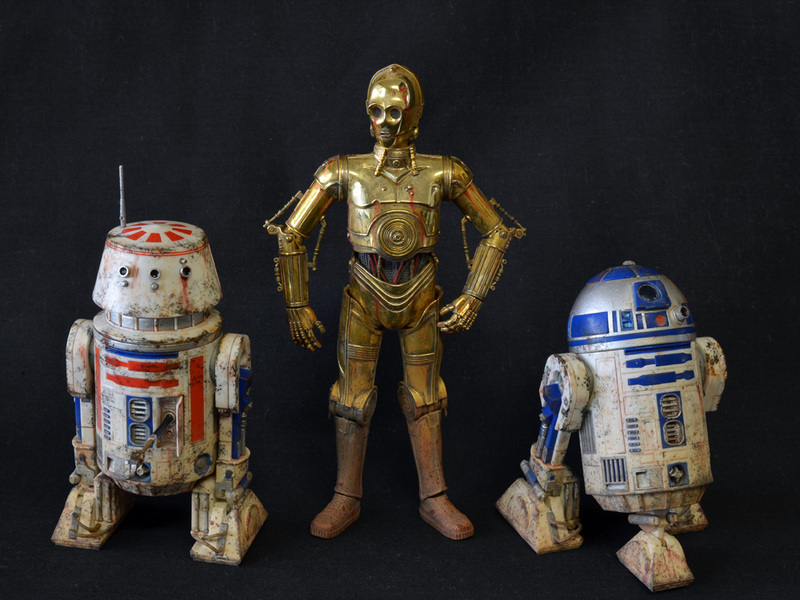 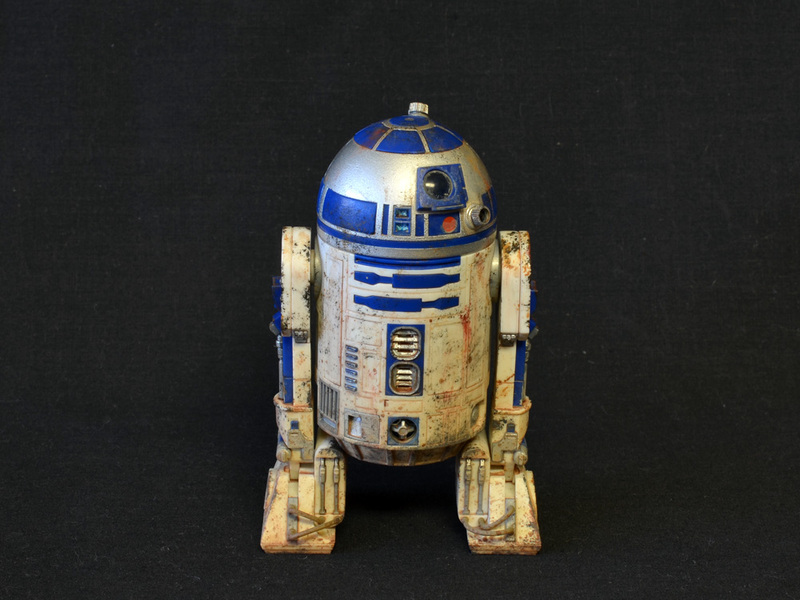 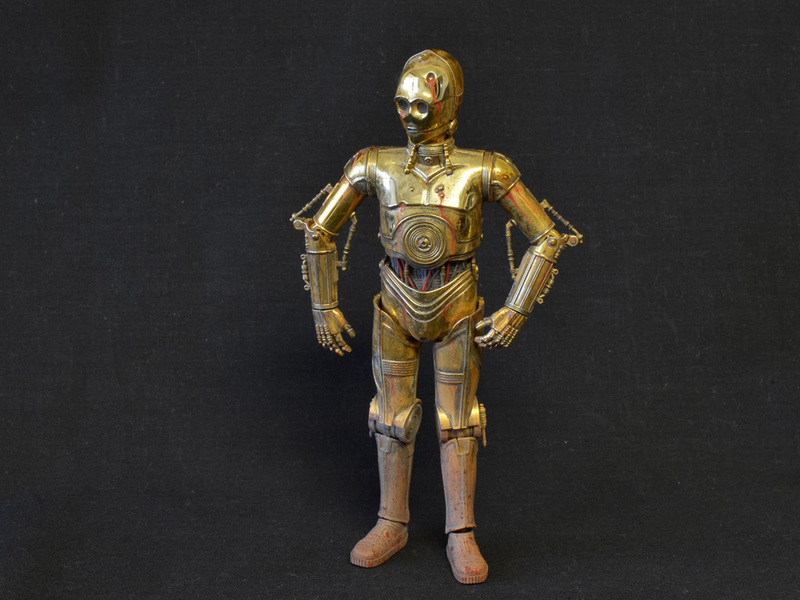 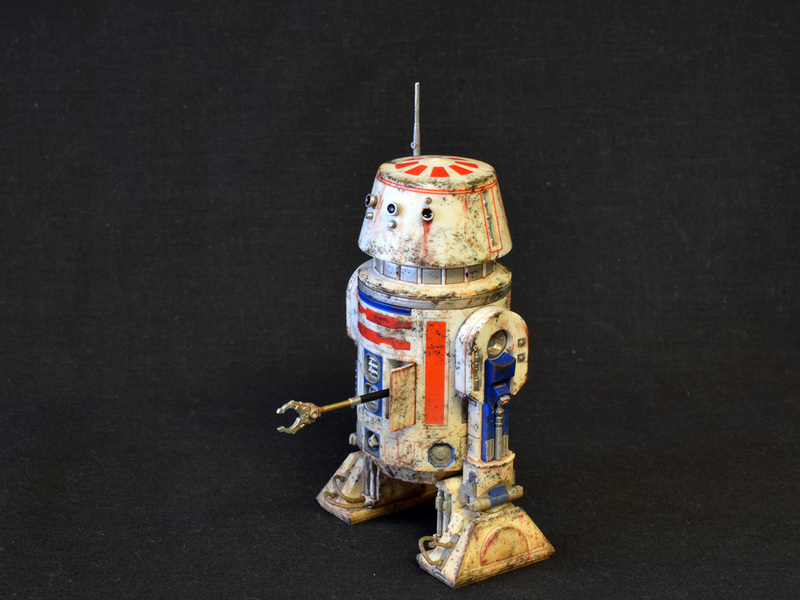 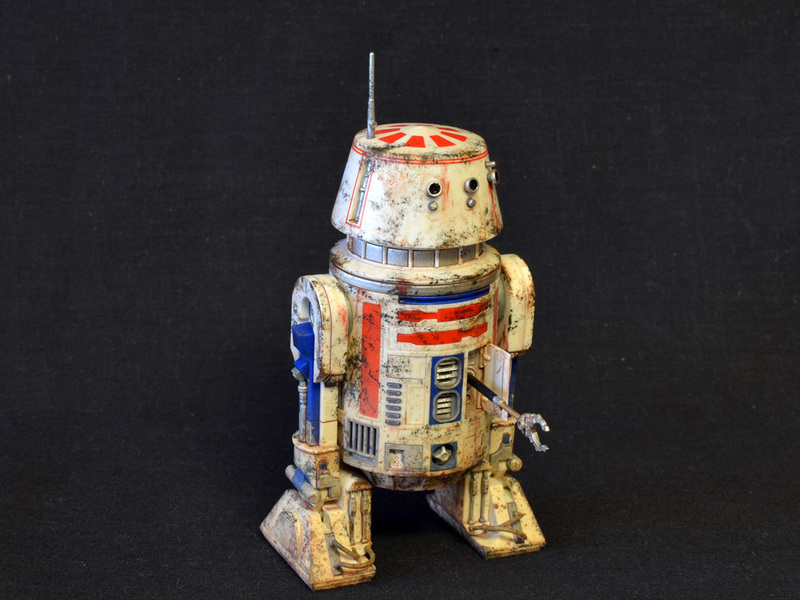 Here’s all the photos of the 6″ scale Gonk Droids made for the first release. 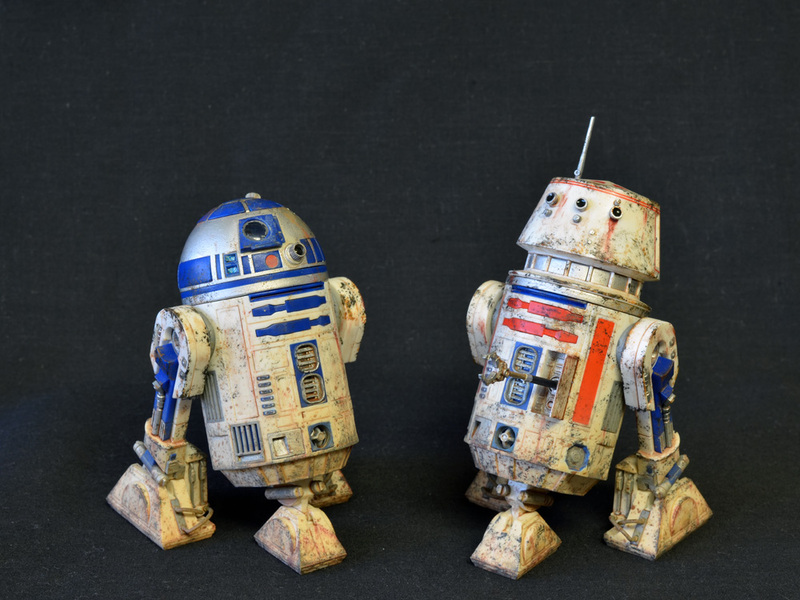 My 3D printed Gonk Droids have been a popular item since I posted the first one in 1/6 scale and sent one to Tested.com as fan mail. 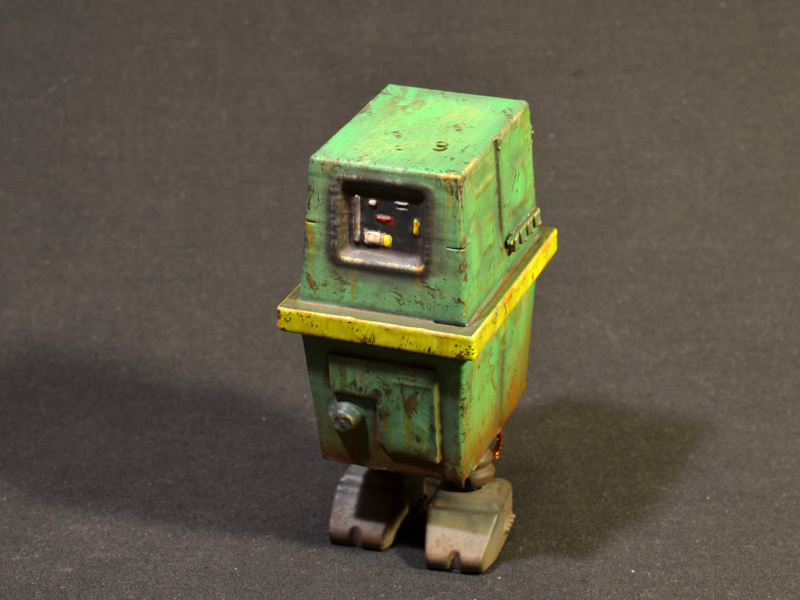 The 1/6 scale ones take a tremendous amount of time to produce, but I still wanted to come up with a way for folks to add a 3D printed, heavily weathered little Gonk to their collection. 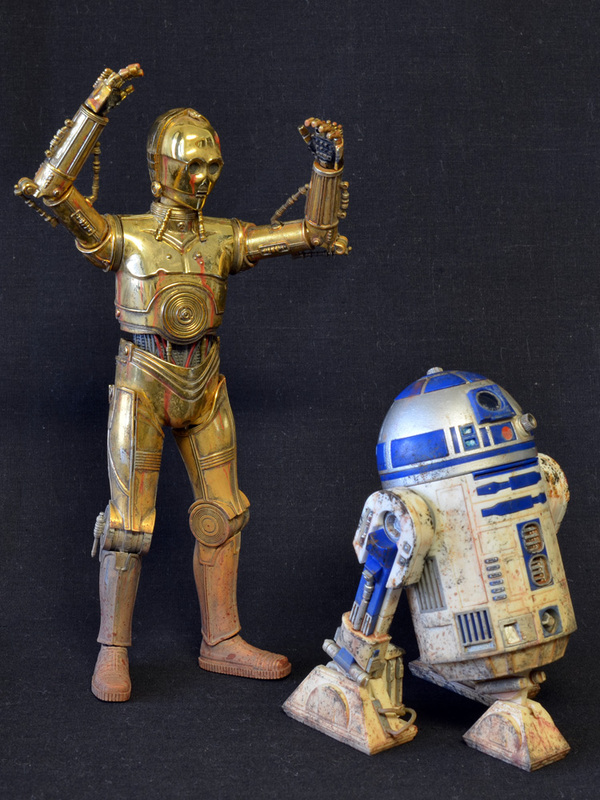 A friend of mine suggested I go with 1/12 scale (6″) instead, as has been popularized recently with the Star Wars Black 6″ collection. 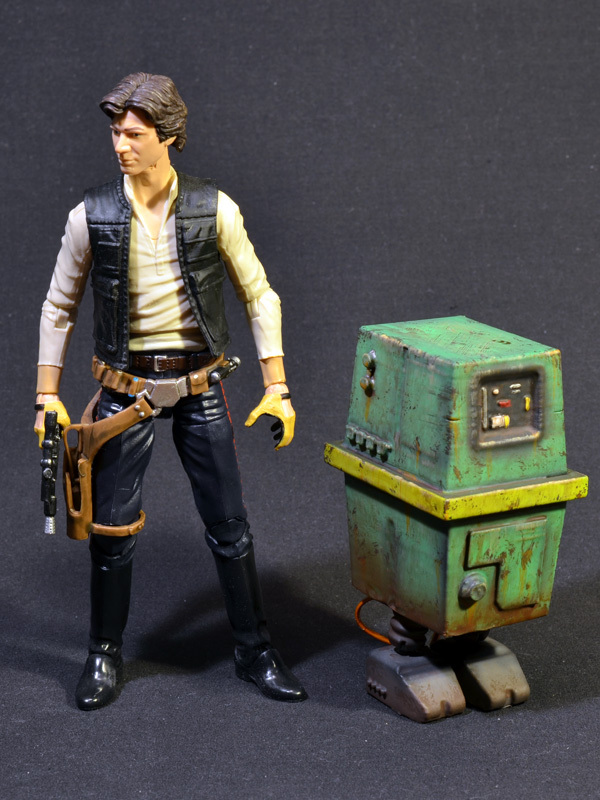 I’m a big fan of the scale myself from collecting Marvel and 3A Portable figures, so it was an easy fit. 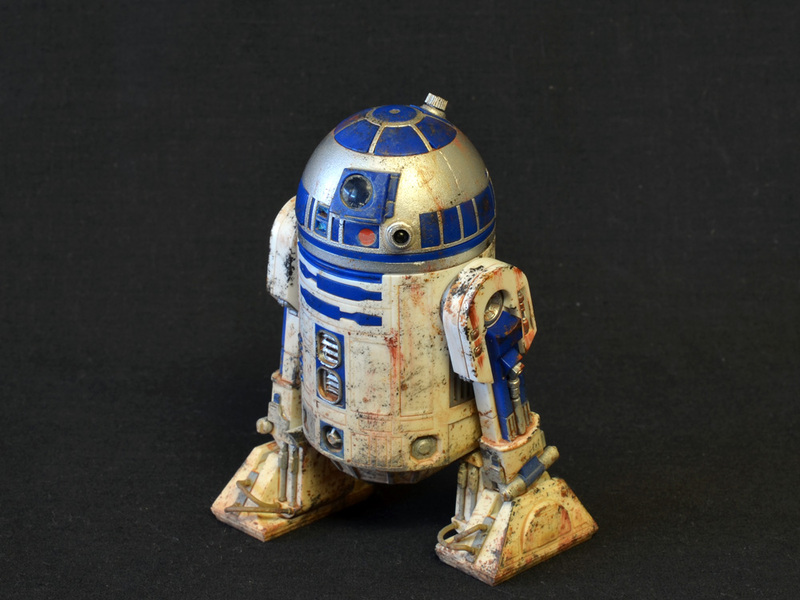 I had to make a few tweaks to the legs to make the ball joints more durable in the smaller scale, but for the most part I was able to scale my existing model files down by 50% in the printer software without any problem. 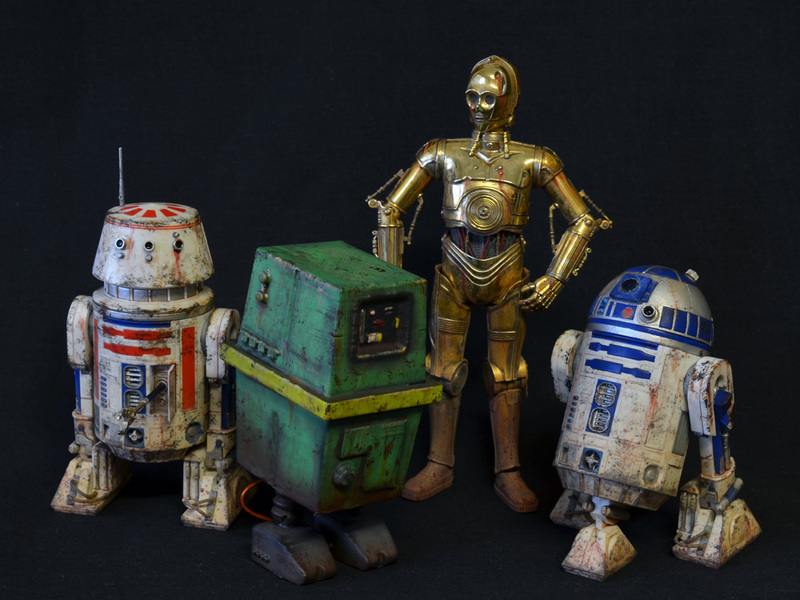 After some acetone treatment, Monster Kolor, and a healthy dose of weathering using acrylics, the first batch of 6″ scale Gonk Droids are ready to go. 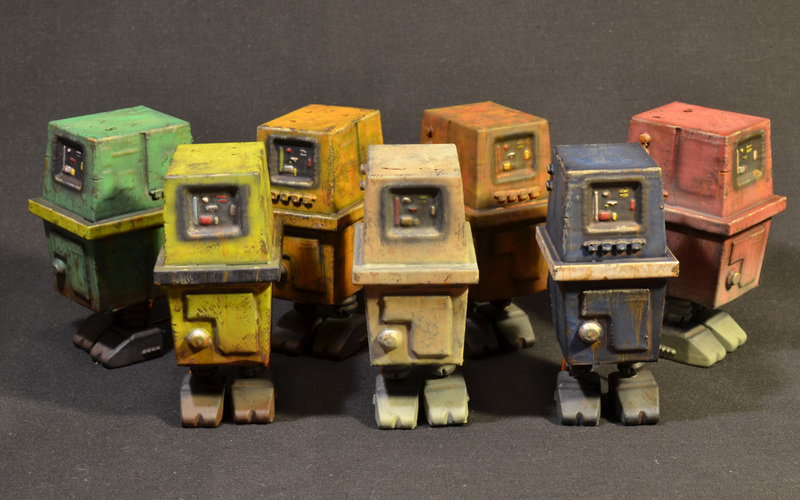 To celebrate the first sale of 2015, the Gonk Droids will also be the inaugural release on the new PRS Store site on Storenvy! 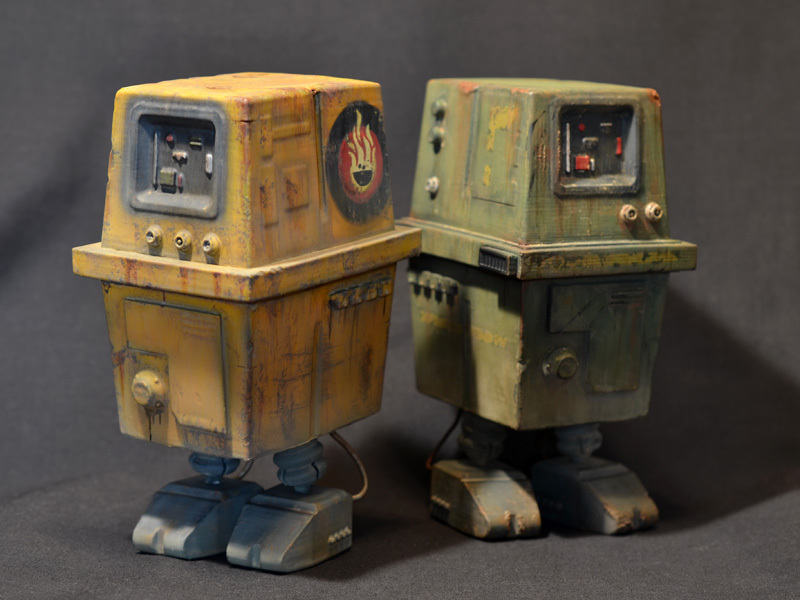 Head on over to PRSStore.Storenvy.com at 8PM EST on Saturday, January 17th to pick up a Gonk Droid for $50 plus shipping. 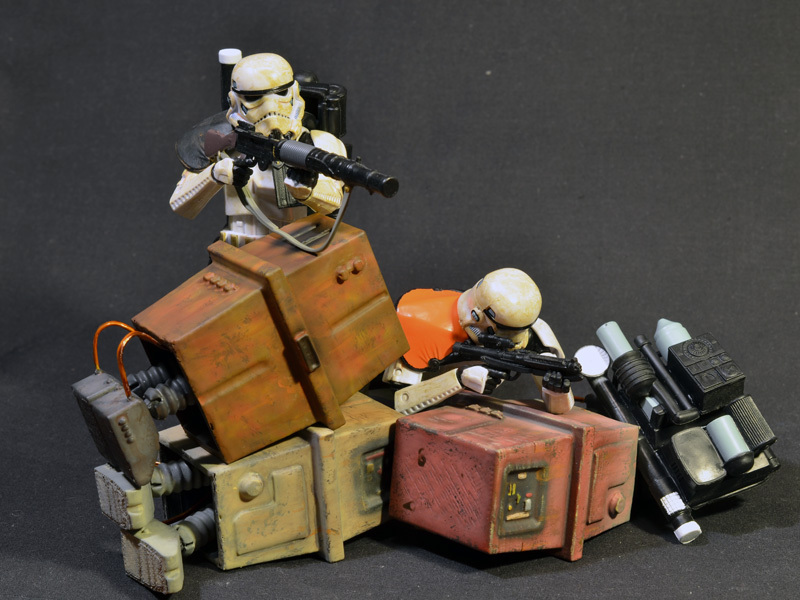 … and here’s an action shot! 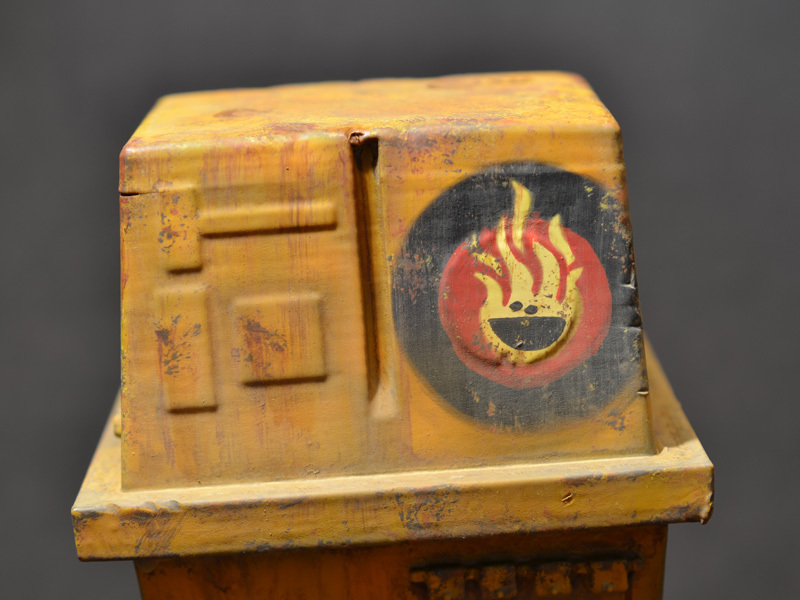 More pics after the break.